Deepbrown & Kinks: LAGOS HERE I COME! Yes you read right! On the 9th of May, 2015 Natural Nigerian, Dr.Purejoie Austine Ihesie and I would be organising the first healthy hair workshop in Lagos, Nigeria. And "We're taking haircare in Nigeria to the next level, with ACCURATE SCIENTIFIC, EVIDENCE-BASED, AND MEDICAL INFORMATION about everything hair." 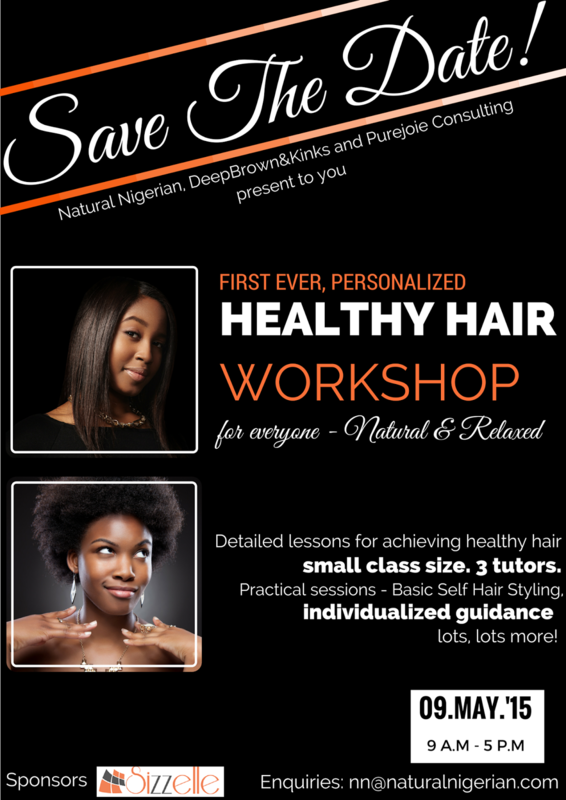 This workshop came from the need to educate the Nigerian woman on the need for her to take responsibility for her hair and know that having healthy hair IS normal. Over the years, no thanks to a lot of myths and bad hair care practices, Nigerian women have come to believe that healthy hair can only be found on the heads of people from outside our borders. 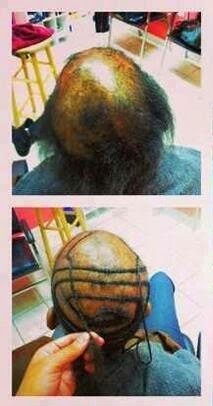 As African women we spend so much money on our scalps but almost always end up with very disappointing results. For instance, scaring alopecias have almost become the norm that we are beginning to see nothing wrong with hair loss. The truth is that healthy hair does not begin with how many products you use or how often you use them but from understanding exactly what your hair needs and aiming for the best results with whatever is available to you. Furthermore, I have always said on here that if you don't understand your hair and products used you can not know when you are getting bad services from your stylists. Even the best of stylists who do their best can still make mistakes. We all know that not every product responds well with every head of hair and that leaves the hair stylist with the onerous job of studying each and every clients hair separately, searching for which product works best for each client. You would agree with me that is nearly impossible. So the best person to alert the stylist on a practice about to go wrong is no one but you. Understand your hair better and be able to tell when something is not right. Know what products will give your hair type the best results. Understand when your hair (or scalp) is revolting against a particular product or practise. And best of all, pass on the information to your friends and hopefully the next generation. This workshop is open to any and every hair type (texlaxed, relaxed, natural). For information on how you can be a part of this please send an email to nn@naturalnigerian.com or eskinks@gmail.com.